Watch our video for the new iPhone X bulletproof glass on our YouTube channel. 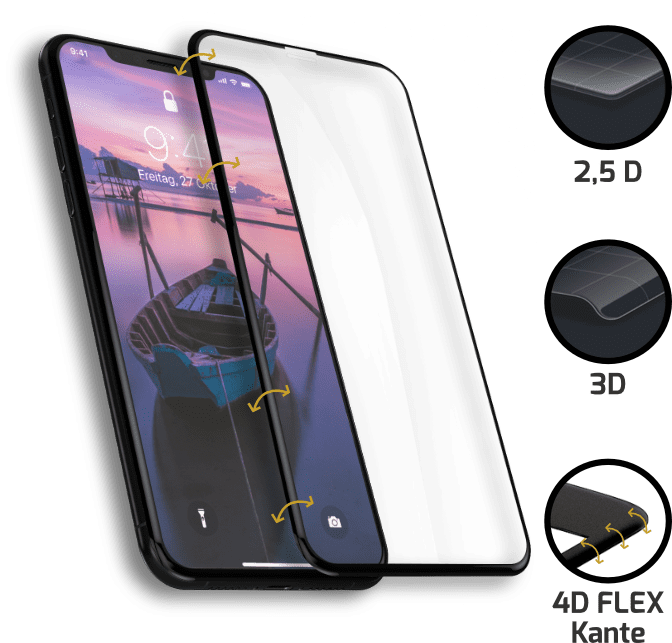 You will also find our video for the iPhone X Screen Protector 2.0 4D Clear Notch, our iPhone X Screen Protector made of 100% bulletproof glass and unique, borderless 4D design. The perfecting of the iPhone X bulletproof glass goes on and so we have also improved thickness again. Because the glass layer thickness is fascinating 0.2mm and thus ensures an improved screen protection feeling. 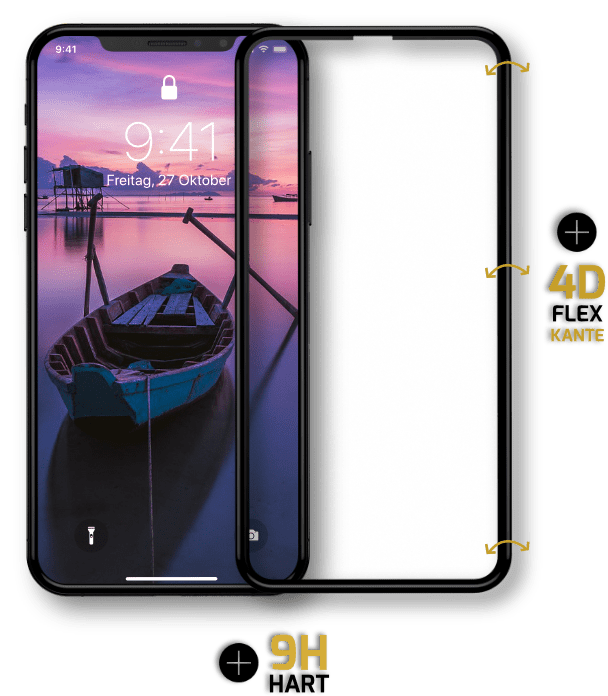 The now unique 4D technology ensures maximum edge protection and has been perfected with the iPhone X Screen Protector Hybrid. Because the new flex edge is almost indestructible. In addition, you can feel the difference in ease of use with the iPhone X protective film by GLAZ day after day without disturbing edges. Experience the almost indestructible iPhone X protective film. 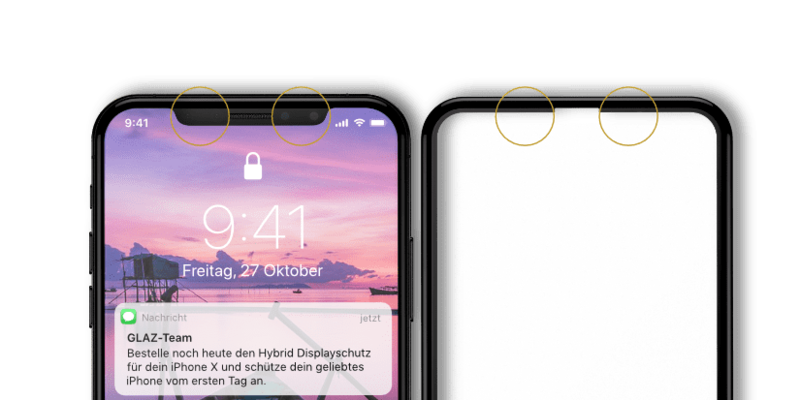 Our latest display protection innovation relies on the use of composite materials in the iPhone X bulletproof glass. That’s why the combination of different materials makes our iPhone X Screen Protector Hybrid almost indestructible, without sacrificing the experience and sleek iPhone X design. Just like you, we at GLAZ do not want to limit the OLED experience of the iPhone X and always offer you a clear view of your experiences. For this reason, a double anti-fingerprint coating is used in the iPhone X Screen Protector Hybrid. Accordingly, the double layer facilitates cleaning of the display and visibly reduces fingerprints. Buy the new iPhone X Bulletproof Glass Hybrid now. No more annoying installations with the iPhone X protective film from GLAZ. Because with our GLAZ applicator you bring your hybrid screen protector to 100% perfect on your Apple smartphone. Due to a special coating, the iPhone X bullet-proof glass pulls on the display within seconds. 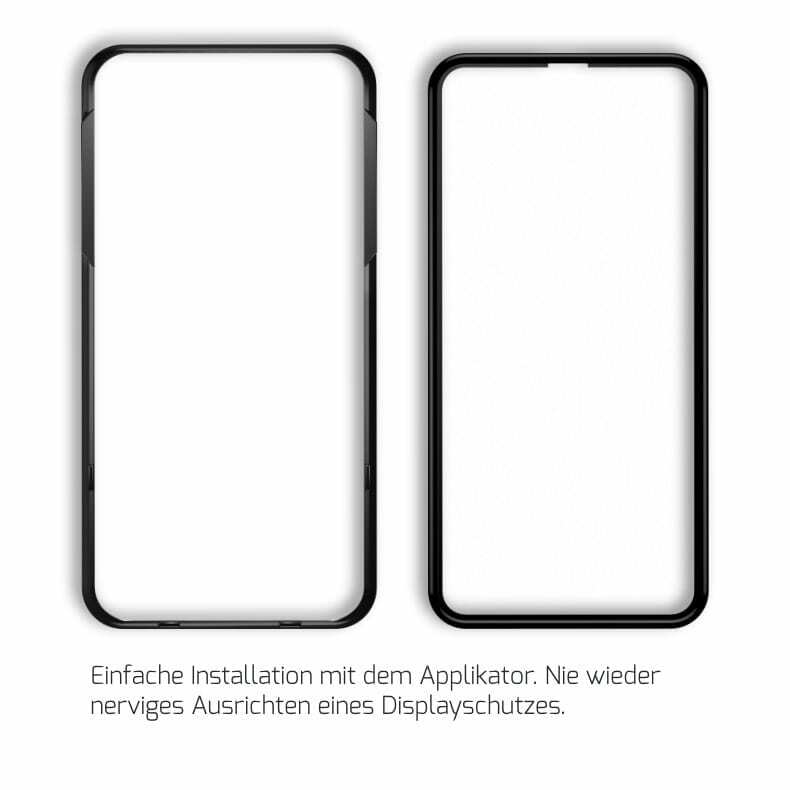 Due to the unique 4D design and our special coating on the iPhone X bulletproof glass, both the display and the notch, the sensor area, remain 100% free of dust. Pure Innovation – Buy the iPhone X Screen Protector Hybrid. If you save on the screen protector, you will save at the wrong end. Because the repair of the iPhone display is not exactly cheap with 321,10 €. Thus, you should optimally protect your smartphone display and best with a GLAZ screen protector. Finally, the iPhone X Screen Protector Hybrid with a hardness of 9H offers perfect protection against scratches and other damage, even in the margins. 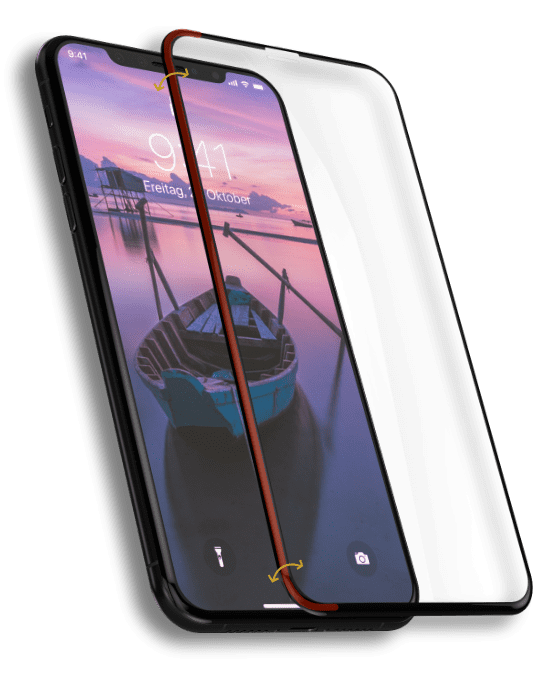 So that you can continue to use your iPhone X case, GLAZ offers even more case compatibility with the new screen protector hybrid. 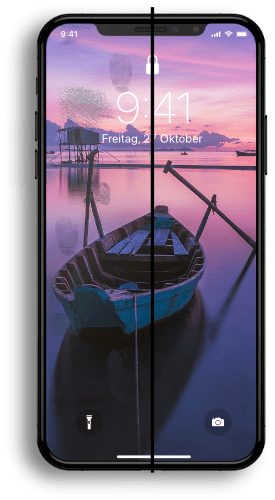 Due to the impressive thinness of the iPhone X bulletproof glass, the hybrid protection is compatible with almost every iPhone X case. Your lifestyle, your case, your screen protector! Feel the difference with the iPhone X Hybrid Screen Protector.